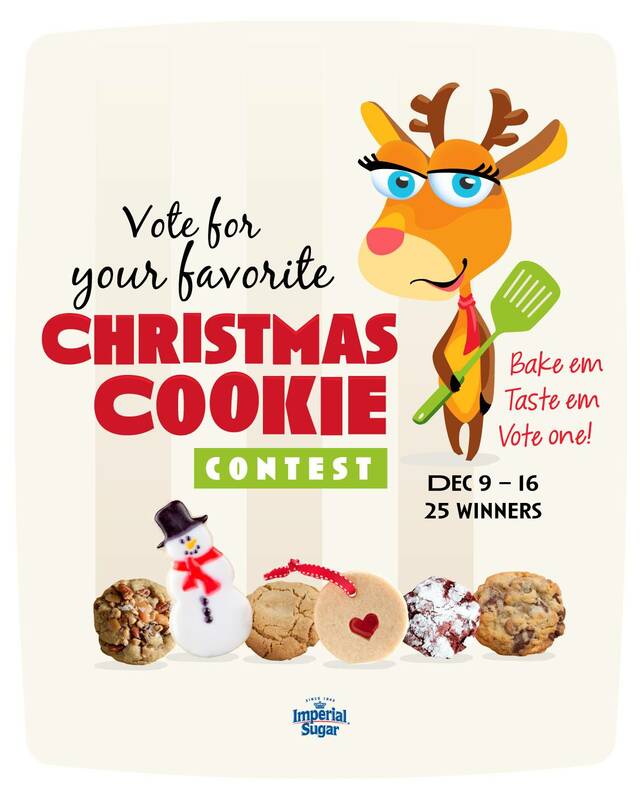 Thanks for playing our Christmas Cookie contest! We loved seeing what your favorite kinds of cookies are during the holidays. See below if you are one of the twenty-five (25) lucky winners who each receive a 15-piece Wilton Cookie Decorating Kit, one copy of Bridget Edwards' Decorating Cookies Party Cookbook, one silicone baking mat, one set of cookie recipe cards and 10 free Imperial Sugar vouchers. Watch your email in the next week for an address shipping confirmation.